Welcome to Business & Information Technology! Business and Information Technology Education is a broad, comprehensive curriculum at the middle and high school levels that provides students with meaningful instruction for and about business. 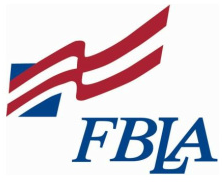 Future Business Leaders of America-Phi Beta Lambda is a nonprofit 501 (c) (3) education association with a quarter-million students preparing for careers in business and business-related fields.